Deborah Pearce earned her B.F.A. from Mount Allison University in Sackville, N.B. She studied art under Robert Bateman at Nelson H.S. Deborah received a Canada Council Grant to paint the people of Africa . She studied portraiture at the American Portrait Institute in New York under John Howard Sanden. Deborah is an award winning member of the Portrait Society of Canada. She has spent her life painting commissioned portraits across Canada . The artist has been painting large scale commercial murals in Ontario and the U.S. Deborah has taught art from Cape Breton to Vancouver. 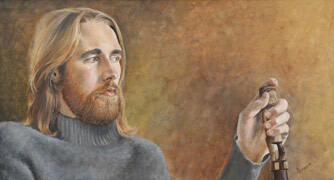 Presently she teaches painting and portraiture at the Burlington Art Center .